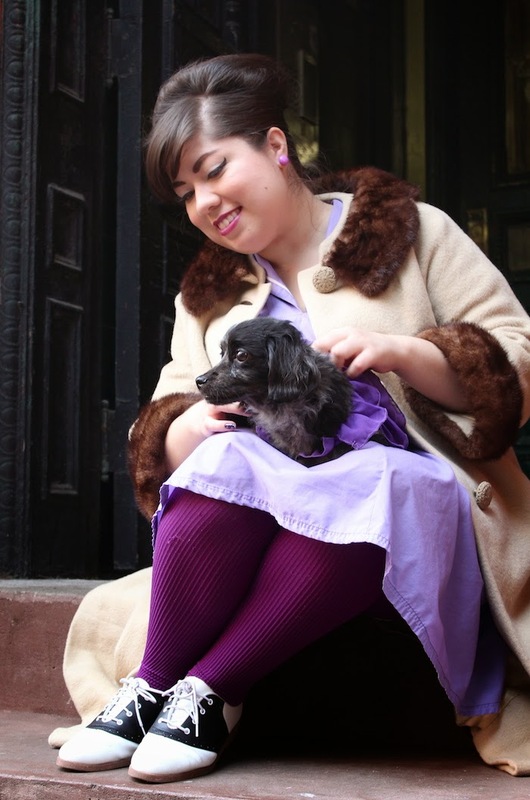 She looks so darn cute in her purple ruffled coat, and your coat score is fantastic! Awww, how cute you both are! 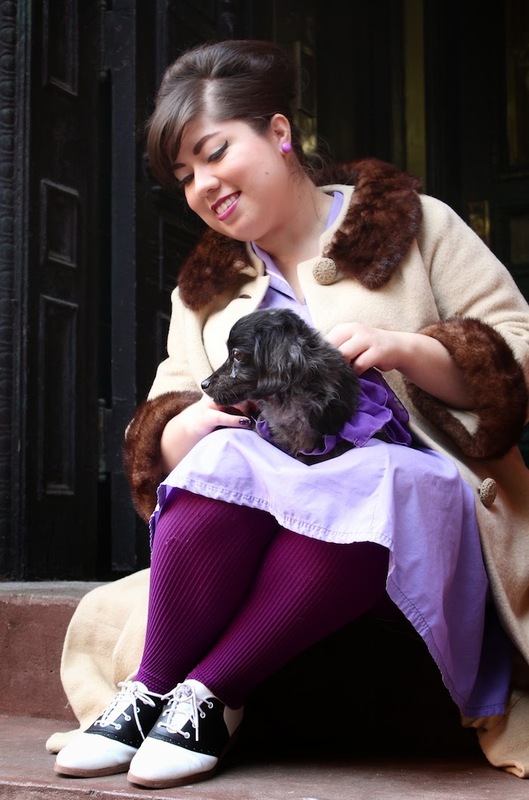 Love your matching purple outfits, and that coat is a spectacular find. All the little guys in their winter coats are just too sweet. Aw thanks! 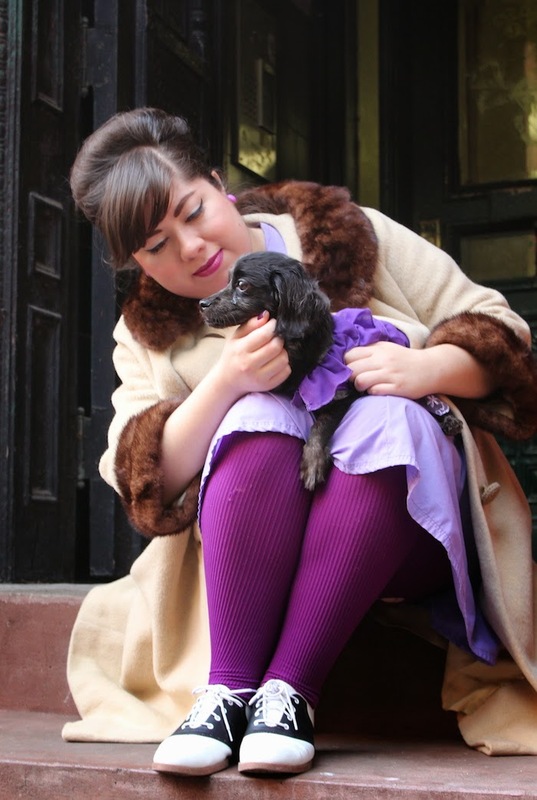 I bought the sweetest little pink dog parka at TJ Maxx. It even has faux fur trim, a box and a rhinestone. She hates to have anything on but itll get colder!